This is a large increase from the initial 800 troops reported last week. The President put the caravan on notice again Monday morning, telling them to “go back” because they will not be admitted. TRUMP: Many Gang Members and some very bad people are mixed into the Caravan heading to our Southern Border. Please go back, you will not be admitted into the United States unless you go through the legal process. This is an invasion of our Country and our Military is waiting for you! Last week the DHS confirmed gang members and people with dangerous criminal histories are embedded in the migrant caravan. The Department of Homeland Security also confirmed Judicial Watch’s reporting that migrants from the Middle East, Africa and Bangladesh were embedded in the horde marching to the U.S. Even worse, several unaccompanied minors were saved by Guatemalan authorities after it was discovered they were being trafficked by smugglers. On Sunday another caravan formed in El Salvador. 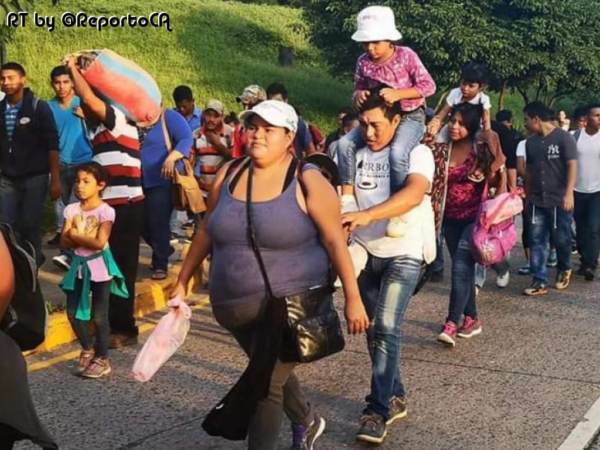 The only thing that will stop the caravans from marching to the U.S. is if they know they will be met with the US military.